We are a Toyota dealership offering new and used Toyota cars, trucks, vans and SUVs and we serve the Oklahoma City Metro area. We also have a top-notch Service department and our Toyota tire center runs big time sales all the time. A common Google search is “Toyota Dealers.” That search reveals that we are the nearest dealer to downtown Oklahoma City. We’re staffed by some fantastic people: smart, honest, hardworking people. It’s our pleasure to be involved in a wonderful community and to serve our neighbors’ Toyota needs. Thousands of Oklahomans have passed through our doors and we have no plans to change that in the future. Thank you for visiting our website. Hudiburg Toyota – Just 5 minutes from downtown OKC! Why is Hudiburg Toyota the Go-To Spot for Oklahoma City Area Drivers? Shopping around for the right new or used car, a confidence-boosting body shop or service center, or a well-stocked parts center can be a challenge in Midwest City, Oklahoma City, Norman, Edmond, or Moore–unless, that is, you know the Hudiburg Toyota family. Our new and used car dealership has been family-owned by locals for nearly 50 years of buying, selling, and trading cars, changing oil, rotating tires, inspecting transmissions, and selling replacement parts. Why Buy Hudiburg? Because it’s the best way to shop locally while still getting the quality and professionalism that you want. You can feel good about shopping and working with us for a variety of reasons. 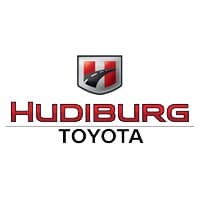 For one, when you choose Hudiburg Toyota, your money stays in the Midwest City community. That means that every new and used Toyota Camry, Corolla, RAV4, or Tundra that we sell, and every car or SUV that we service, is money that gets circulated back through our local partners, businesses, and community members. Maybe this connection with the greater OKC area is what allows us to provide such exceptional customer service day-in and day-out! Why else should you feel confident when you walk through the doors of Hudiburg Toyota We’re deeply supportive of our military members. Your Patriot dealer, located just minutes from Tinker Airforce base, we’re proud to offer Military Rebate Offers for our servicemen and servicewomen so they can enjoy the reliability and durability of a Toyota truck, car, or SUV when they’re on home soil. But the main reason to choose our Midwest City Toyota dealership as your go-to option for all things automotive? At Hudiburg Toyota, you’re family!